Help Hair Shake was designed to treat typical male pattern baldness and female hair loss. Our Worldwide hair loss clinics are treating patients for a variety of hair loss conditons. One particular conditon is Trichotillmania. "Fifteen million Americans suffer from a disorder that most have never heard of. Trichotillomania is a body focused repetitive behavioral disorder that causes sufferers to pull out their hair." This is a case of a 10 year old boy with a condition called Trichotillomania. He was treated with Help Hair Shake by an independent Help Hair clinic , MHRA in Australia. This is a condition that is a nervous disorder affecting all ages especially children. The patient pulls the hair out and can leave bald patches throughout the scalp. Typically a "Friar Tuck" appearance is found in the crown area. However a double blind study shows that N-Acetylcysteine helps with this nervous disorder. "N-acetylcysteine, an amino acid, seems to restore the extracellular glutamate concentration in the nucleus accumbens and, therefore, offers promise in the reduction of compulsive behavior." Help Hair Shake has Cysteine and other amino acids that enhance hair growth. The patient responded extremely fast to the treatment. We do no recommend treating children with Help Hair Shake. Always consult with your physician before starting any supplement. Our Help Hair clinics treat a variety of hair loss disorders. Currently we have some intial results treating Alopecia Totalis. 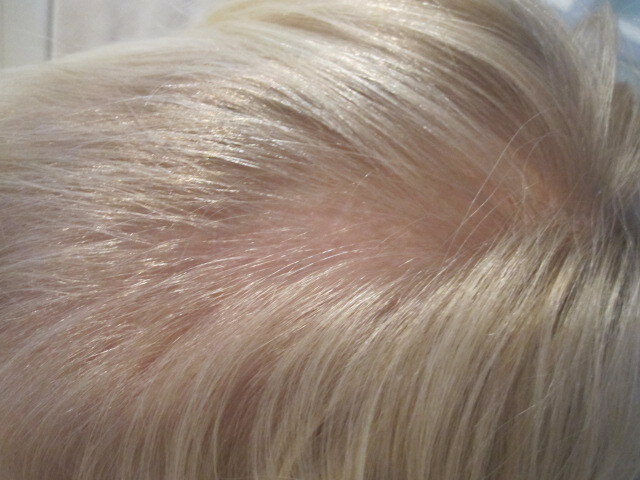 When we get the before/after pictures for Alopecia Totalis we will post online. Grant, J. E.; Odlaug, B. L.; Won Kim, S. (2009). "N-Acetylcysteine, a Glutamate Modulator, in the Treatment of Trichotillomania: A Double-blind, Placebo-Controlled Study". Archives of General Psychiatry 66 (7): 756–63. doi:10.1001/archgenpsychiatry.2009.60. PMID 19581567. This is a very significant finding and we hope that the Science writers of various National newspapers would publish these intial results. Our product is formulated based on a long list of scientific research to improve hair growth. See SHAPIRO Chart for details. MHRA sent us this email. Here is a before and after of a 10yr old boy I consulted 3 months ago. 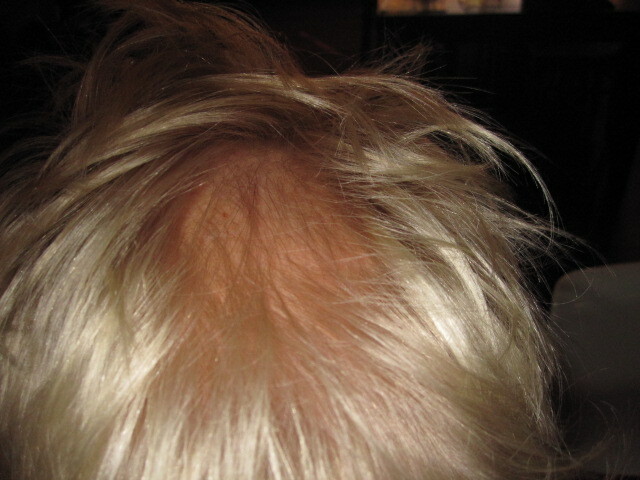 He had alopecia on top of his head from poor nutrition (very fussy eater), and trichotillomania. He has been on the shake for 3 months (1/4 scoop daily) and has had some counselling for his nervous issues. I saw him yesterday and has had a wonderful recovery.